Hey Mamas! 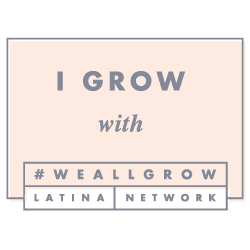 Today I am giving away a #DreamBigPrincess canvas bag filled with all my favorites from my recent trip to the #WeAllGrow Latina Summit. Sign-up below to win all of these goodies. It is a little for the princess in your life and a little for you. We all deserve to feel like princesses. The bag will include: an Elena of Avalor doll, Elena of Avalor DVD, Elena of Avalor CD, GoRed Notebook and Pen, Aveeno Yogurt Body Wash, Aveeno Body Yogurt, Neutrogena Pink Grapefruit Cream Cleanser, Neutrogena Cheer Coverage, Neutrogena Blush, Neutrogena Hydro Boost Lip Shine, Neutrogena Color Stick, Disney Princess Litttle Kingdom Belle, Disney Princess Little Kingdom Aurora, A Little Golden Book-Disney Princess Merida is Our Babysitter, Disney Princess Be A Champion Comic, and Elena of Avalor Wall of Dream Photo/Clipart Hanger.